Bournemouth fans come back from the international break full of optimism with their side set to host Leicester City at Dean Court. The Foxes will be chasing premiership points in a bid to lock down a trip to the Europa League. Bournemouth fans will be elated with their side's efforts so far that has them in sixth spot on the EPL ladder. The Cherries were beaten 2-0 by Chelsea in their last match prior to the international break and will be looking to bounce back here. Nathan Ake and Steve Cook are quickly developing a reputation as one of the best defensive pairings in the league, helping the Cherries claim points against Everton, Cardiff and West Ham. Striker Callum Wilson has scored two goals in his last four league starts, and the youngster will provide a real threat against the Foxes with his pace and movement. The Foxes continue to show some encouraging signs despite losing 2-1 to Liverpool prior to the international break. Wins over Wolves and Southampton have kept the Foxes within sight of Europa League qualification for next season. Former England international James Vardy will slot back into the starting eleven after serving his suspension. Vardy is set to be tested against Steve Cook and Nathan Ake, with his experience to be key against two of England’s best promising young defenders. Claude Puel’s side have two wins in the Premier League this season but face a tough task breaking down a Bournemouth side that is playing with self-belief. The Cherries have met Leicester 15 times since their promotion, with the Foxes holding a narrow advantage in the head to head stakes 6-4 with five draws. Bournemouth played out a 1-1 draw with Leicester when these two sides last met in the league in May 2017. 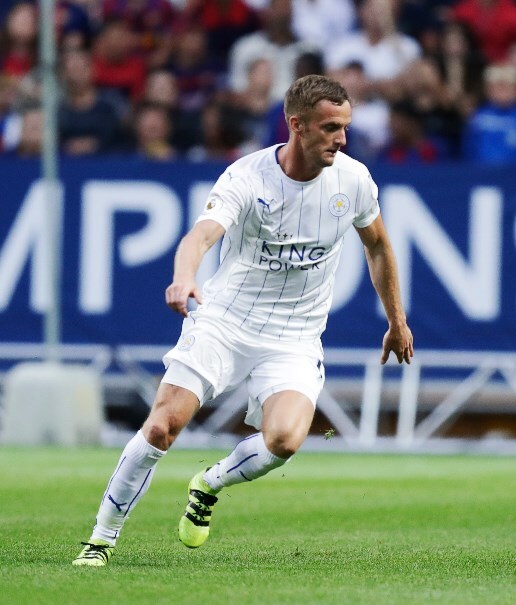 James Vardy slots back into the Leicester City line-up after suspension and his pace and movement will provide a stern test for Steven Cook and Nathan Ake in the final third of the pitch. Callum Wilson has slotted two goals in four starts for the Cherries and gives the home side an opportunity to ask some serious questions of a back four led by Harry Maguire. Bournemouth have drawn 5 of their last 6 matches against Leicester (All competitions). The Cherries are notoriously difficult to break down at Dean Court. While the Foxes boast plenty of quality in their ranks, I’m predicting both sides will cancel each other out for their sixth draw in seven matches.